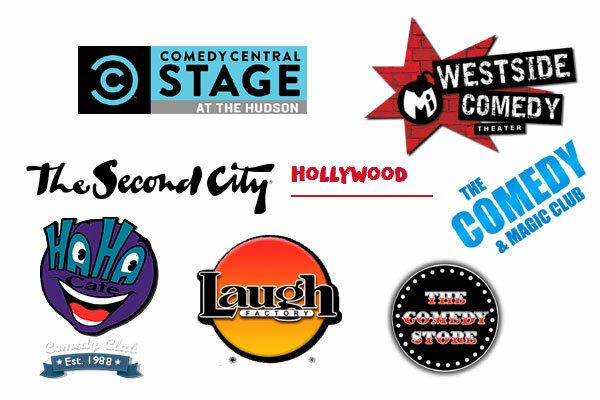 Comedy Clubs in Los Angeles list / recommended best comedy venues in Los Angeles, California. Stand-up Comedy show in Los Angeles CA. LA’s Hottest comedy club, specializing in Urban comedy and providing the funniest comedy shows weekly! The HaHa Comedy Club is Los Angeles’ premiere comedy venue. Daily show – 7 nights a week! Located in the heart of NoHo’s Arts District. Feature a full bar and fresh Mexican grill, and a lounge style show room with intimate setting. For upcoming events and reservations visit here. ACME Hollywood Theatre founded in 1989, is a premier 99 to 120 seat theater / production studio. Enjoy a comedy show, play, musical, reading, concert, or screening with us! Tickets : Tickets are also available at the ACME Hollywood box office / ACME NoHo box office (unless sold out online), starting approx. 30 min / 20 min before show time. Box office price may be higher than online price. More details here. 135 N La Brea Ave, Los Angeles, CA 90036. 5124 Lankershim Blvd, North Hollywood, CA 91601. Started in 2010, Super Serious Show is a monthly live comedy mash-up show, combining the best of the great and varied Los Angeles comedy scene…stand-up, sketch, videos and all-around randomness – into one great show! Los Angeles branch of the famed Second City in Chicago. Offers classes and show 7 days a week. Hollywood Shows and shows tickets can be purchase online at www.secondcity.com/shows/hollywood/. Comedy Club in Santa Monica. Amazing standup, sketch and improv shows every night of the week [ 21+ with NO DRINK MINIMUM]. Also offers classes in sketch, improv and standup regularly. Comedy Central Stage at The Hudson Theatre. All shows are FREE. 6539 Santa Monica Blvd., Los Angeles, CA 90038. Comedy club in Hermosa Beach, since 1978. 1018 Hermosa Ave, Hermosa Beach, CA 90254. Comedy Club in Los Angeles, California. 8433 Sunset Boulevard, Los Angeles, CA 90069. Laugh Factory is a comedy club in Hollywood, Los Angeles, California. Other places are Long Beach, Chicago and Las Vegas. 8001 W Sunset Blvd, Los Angeles, CA 90046. Comedy school and club in Los Angeles, California. 7307 Melrose Ave, Los Angeles, CA 90046. America’s premiere comedy showcase, restaurant and comedy club in West Hollywood, California. 8162 Melrose Avenue, West Hollywood, CA 90046. Upright Citizens Brigade Theatre – Los Angeles. 5919 Franklin Ave, Los Angeles, CA 90028. Comedy club in Los Angeles, California. NoHo’s premiere comedy venue opens 7 days a week. Music, comedy and performing art theatre in Los Angeles, California. 366 N La Cienega Blvd, Los Angeles, CA 90048. The Nerdist Showroom at Meltdown Comics. Comedy 7 nights a week. Voted ‘Best Comedy Venue’ by LA Weekly. 7522 W Sunset Blvd, Los Angeles, CA 90046. The Los Angeles branch of the iO Theater closed at end of February 2018. The iO Theater continues to operate at its Chicago location which includes 4 theaters with shows 7 nights a week. iO West is a comedy club in Los Angeles, California. Formerly known as the “Improv Olympic West”. Comedy theater & training center w/ the finest sketch and improv classes in Los Angeles. Visit website for UPCOMING SHOWS. 6366 Hollywood Blvd, Los Angeles, CA 90028. L.A.’s premiere comedy festival. Over 200 comedians and 50+ shows in Downtown Los Angeles. 842 S Broadway, Los Angeles, CA 90014. Comedy Club in Los Angeles, California. A weekly FREE COMEDY show EVERY THURSDAY at the Palace Restaurant. 2112 Hillhurst Ave, Los Angeles, CA 90027. Monday nights in Los Angeles! The Virgil, Los Angeles, CA. Celebrity comedy show in Los Angeles CA. Longest running show, now in its 28th year! Find CSz Los Angeles at the historic El Portal Theatre.